The Bugaboo Cameleon 3 is a top-quality stroller with a luxury feel, featuring a reversible handbar, seat, and has a bassinet included. This is already the third generation of this highly popular stroller with some important upgrades that make it even better. Mid-Size Stroller 34 x 25 x 19 inches Bugaboo Cameleon 3 comes with unique design and handlebars, that may easily be reversed so your little one can enjoy the view. It’s really multipurpose and will do just fine during shopping, walking around in your area, but also on some tougher terrains. The Bugaboo Cameleon 3 is perfect for any kind of activity, whenever you go to a park with your little one or need to do some shopping, it will do its job for sure. This stroller grows with your toddler as the seat is removable and you can easily attach the included bassinet or attach a baby car seat (sold separately). 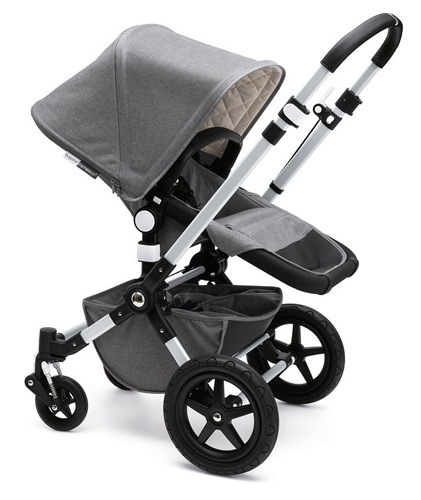 The seat of this stroller is big and comfy, 47cm (height) and 32cm (width). As it has been before it comes in a clean, elegant design with everything you need. The seat may be adjusted into on of three recline positions: fully horizontal, half upright and upright. If you want to recline the seat, you need to push the white buttons on both sides and fix the seat to the angle you desire. It is not a one-handed solution, but at the same time I have to say that it is really simple to use and does it job. Strap adjustment of the 5-point harness is just perfect. 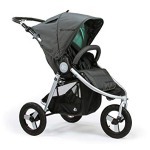 The Bugaboo Cameleon 3 stands out here as all you need to do to adjust it is sliding the harnesses up and down. The rest of the harness is really great too, you may adjust it anyway you need. The buckle has a nice design too and as the whole harness it’s also easy to use by clipping it in both sides (one at a time). Your toddler will surely stay where he should be, safe and comfy. The hood doesn’t have a viewing window or visor and provides a good coverage. 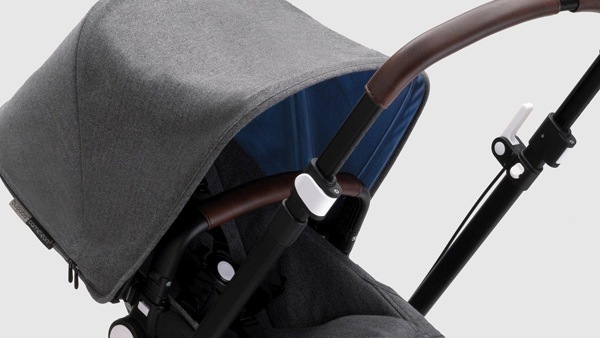 It’s worth adding that the Bugaboo Cameleon 3 comes in eight color versions to pick from, and the hood is the most visible aspect of customization available. Placing your baby is a piece of cake as the bumper bar of the Bugaboo Cameleon 3 got itself a new design in this version. It is opened by pressing a white button button and it will fully open up so nothing stands in your way to seat your kid. Removing the seat works like a charm, I’m delighted with this. This time you have to push the blocks found at the seat’s posts bottom (and again, the color is… white, we have a pattern here) and you’ll see the seat popping up on the mounting so you can easily lift the seat off. And again, place the seat on the posts and just push to get the seat back in place. Nice, easy and quick, the way I like it. Good job, Bugaboo. 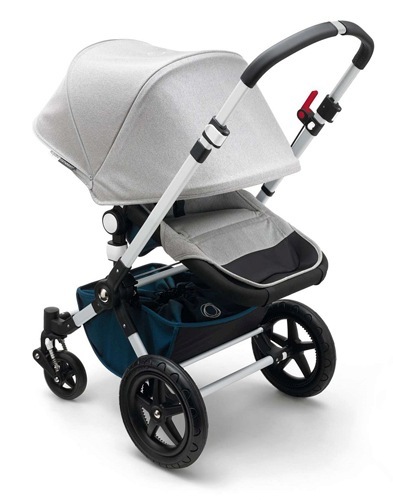 Here we go with another great feature of the Bugaboo Cameleon 3. It comes with an easily reversible handlebar that allows you to select a suitable setting for going through the city or some difficult terrain. It’s also pretty useful if you want to get your kid facing in the other direction without the necessity to remove and turn the seat. Of course, it will be a little more difficult to maneuvre the stroller, but it’s a fast solution. But that’s just something that should be considered an extra feature of the reversible handbar as the main purpose is getting the stroller through some harder types of terrain or a bumpy road. The bigger rear wheels are at the front when the handbar is reversed so you could easily go through rough terrain, may it be sand or a path in the woods. The maneuverability in this setting is lower of course, because the swivel wheels become the back ones. The parking brake is placed on the handlebar and reaching it shouldn’t be a problem at all, but using it requires a bit of attention. When you release it, the handle snaps back pretty quickly, so need to watch out for your fingers. 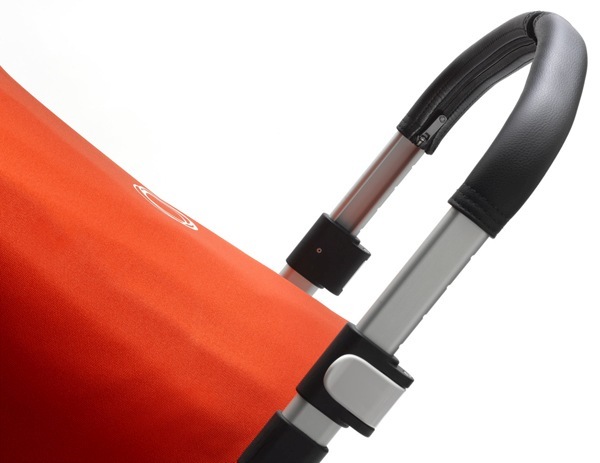 The Bugaboo Cameleon 3 has an adjustable handle bar that may be extended by 8 inches. Some may find a little less easy to use than button systems found in other strollers as this one is based on friction knobs placed on bot sides of the handlebar. The canopy was really big in the previous generations of this stroller. Now, in the third generation it just become literally HUGE. Still, there’s one thing that all the Bugaboo strollers have in common that could really make it even better than it is now – a viewing window. Especially if it would be a mesh one to provide more ventilation during the summer. 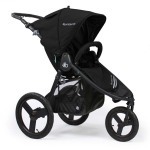 The Bugaboo Cameleon 3 is pretty agile and its small footprint helps here. The ride is pretty smooth, but it should be noted that there are some strollers that are better in this aspect. The frame is pretty flexible, making this stroller a bit more difficult to push than I’d like it to be. Pushing the Bugaboo Cameleon 3 with two hands is easy, but things get worse when you use just one. There’s a number of strollers out there that are easier to push with one hand and there’s space for some improvement here. There’s a possibility to tweak this stroller, as the swivel wheels and the suspension may be adjusted. Pushing the Bugaboo Cameleon 3 on harder terrain will be quite difficult in standard mode, but that’s where switching the handlbar comes in handy. It is a bit more difficult to steer the stroller in this mode, but surely does it job with the big wheels in front, helping you to go through curbs, or a bumpy sidewalk. 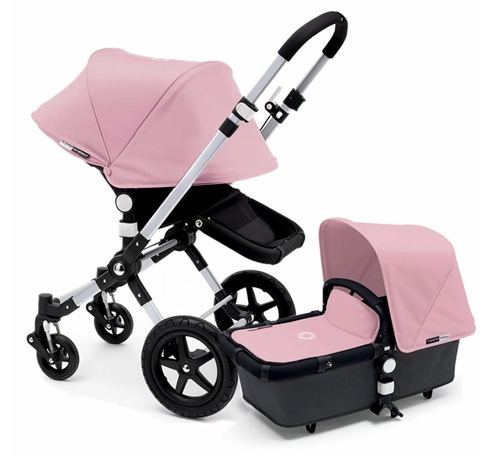 Interested in purchasing Bugaboo Cameleon? Check how much it costs on Amazon and see if there are any discounts available. The Bugaboo Cameleon 3 has another, rare, extreme riding setting, the off-road mode. In this setting you get a two-wheel stroller that will get you through sand or snow. Pretty extreme, but I was actually surprised that it really works. It’s not the easiest thing to push the stroller when it’s set up in this mode, but nobody would expect that going through some really tough terrain would be. Especially if we consider the fact, that most other strollers wouldn’t be ever able to go through such terrain at all. Now this is one of the strongest points of the Bugaboo Cameleon. The fabric used here is one of the nicest I’ve ever seen. The seat has been made with an exquisite woven canvas. At the first glance it looked like it could be easily torn, but we’ve tried hardly and.. nothing, it’s really durable. There’s some difference between the fabric used for particular parts of the stroller. The one on the footrest is rigid and thick, while the one on the canopy is softer. The seat is made of a thinner one and the basket is made of the one used for canopy with a plastic piece inside to keep the basket’s shape. It seems that the frame, made of aluminum is a bit more stronger and durable than the one from the Bugaboo Bee3. It’s really robust and looks nice at the same time. Overall the details of the Bugaboo Cameleon3 look even better than Bee’s and that’s quite impressive if we mind the fact that the fabrics used are heavier. 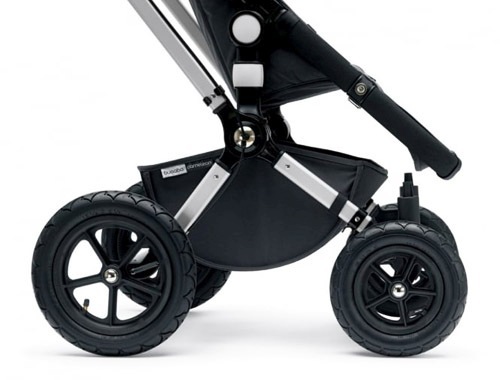 The Bugaboo Cameleon3’s wheels are made of rubber and filled with foam. Thanks to this, they have the rubbers pros and still are as practical as the foam ones. Some may still prefer the inflatable ones, but I really like this solution, giving the little one a comfy ride, while you don’t have to worry about a flat. The handlebar may be adjusted to any height between 39.8 to 44.2 inches. The tubes of the handlebar are nearly flat and some may like it, some not. It’s worth adding that the Bugaboo improved the handlebar as it is higher than the Bee3’s one. It may also be reversed, giving an extra option of the stroller’s configuration. 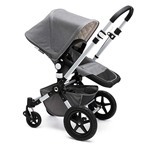 Are you thinking about buying Bugaboo Cameleon? Check how much it currently costs on Amazon, maybe you can find an attractive discount. The shocks have been only used for front wheels, but they may be adjusted to improve the riding comfort. 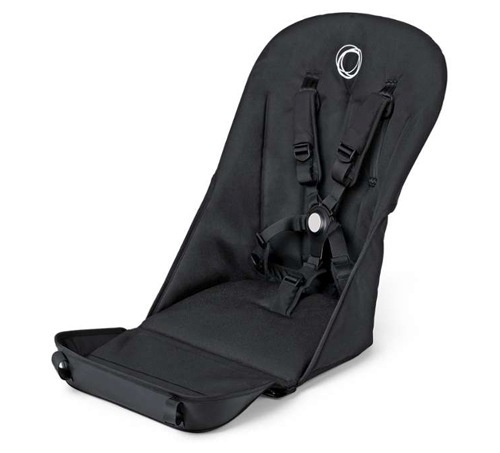 The seat is a sling style one, nicely padded, that jiggles in a way reminding me the Baby Jogger City Selects. 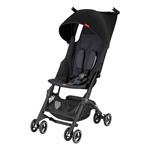 Altogether this creates a combination that gives a bit more comfy ride than an average stroller provides. 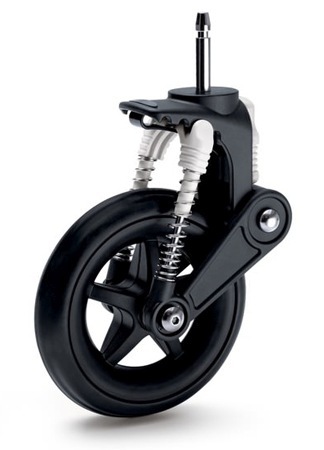 The Bugaboo Cameleon 3’s brake is found on the handle. Sounds nice and convenient… but it’s not, sorry. While it is easy to put it on (only requires to lift the brake’s handle), it gets pretty worse the other side. If you want to release it, you need to push a button found on the mechanism’s fight. Doesn’t sound scary at all, but you may get hurt if you don’t be careful enough. First of all – it’s REALLY hard to push the button and when you manage to do it.. the lever of the brake goes down really fast and may hit your hand pretty bad. To avoid such an outcome, you need to use your both hands. Definitely not the best brake mechanism I’ve seen. Still, to be fair, I have to add that the brakes are really effective. 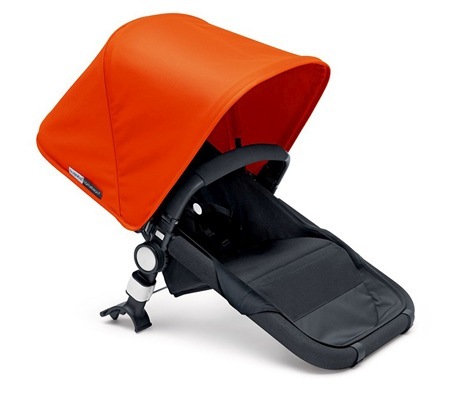 Here we go with another strong point of the Bugaboo Cameleon 3 – the harness. It’s a 5-point one and putting this one on is really easy. At the same time, taking it off is even easier. The crotch and shoulder straps may be easily adjusted to fit your kid perfectly and they feel really nice, providing both safety and comfort. The harness get a strong 5 and I’d like to see such one in all the strollers out there, nearly perfect. It has six pieces, but it’s really easy to put them together or apart aswell. One of the best harnesses I’ve ever seen. Top notch. The seat needs to be removed first if you want to fold this stroller. When you’re done you need to push the white buttons found on the handle’s inside and drop the handle down. Next, you need to grab the chassis’ centre and lift to get the frame folded. It’s not the easiest folding process I’ve seen and takes some time to get used to, but gets easier in time. Unfolding is a bit easier, you just need to grab the handle and pull it to open the chasis. These are another points that need some further improvement. The Bugaboo Cameleon 3 is one of the heavier ones, unfortunately as it comes at 25 pounds. 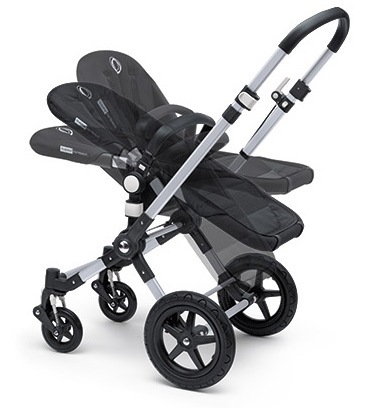 When folded, it’s one of the bigger strollers I’ve seen, not really impressive. Let the numbers do the talking: the folded Cameleon 3 measures a total of 16,002 cubic inches, while the competition comes at less than 6,500. Huge difference. 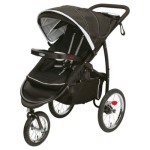 Same for the weight, the lightest strollers come at around 17-18 pounds. The size of the stroller won’t be a problem only if you have a lot of storage space. Does the folding process compensate the weight and size issue? Unfortunately, no. Folding requires using both hands. You won’t find a carry handle or an auto lock feature. 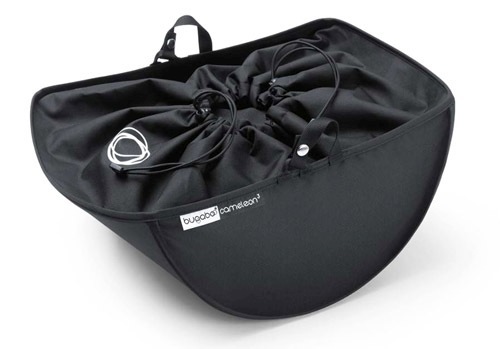 The Bugaboo Cameleon 3 won’t stand when folded. The process is more like disassembly than folding in fact. You need to remove all the parts and in case you’d like to travel somewhere this means you’ll be carrying a bunch of items. As I’ve wrote above, you have to remove the seat if you want to fold this stroller (still, I’m not pretty sure if it’s real folding, when I remind some other strollers). It takes quite some time to remove it and imagine yourself with all the separate things to carry around when on public transport. It’s “easier” when driving a car, but still – time-consuming and not really convenient. Unfolding the stroller is just a little bit easier. 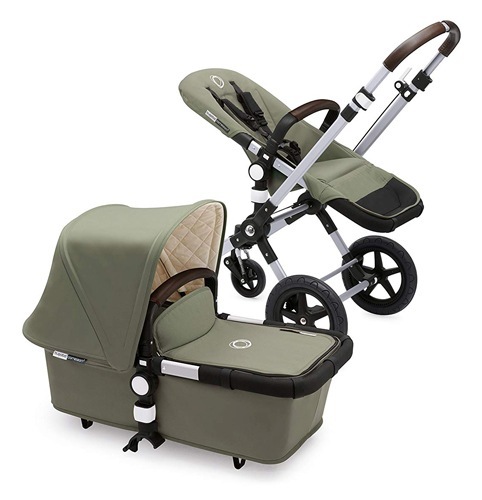 Bugaboo Cameleon is a class in itself. 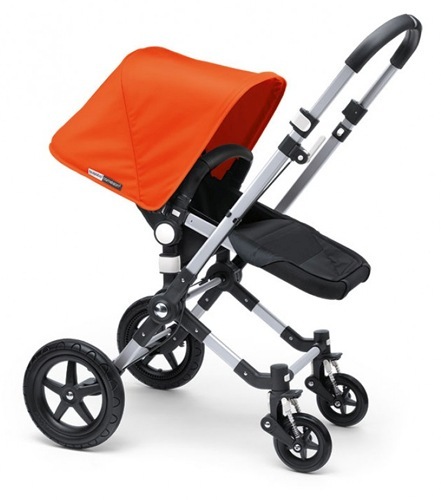 Bugaboo strollers are recognizable and well known around the world. However, this brand also means a considerable price, which not everyone can afford. 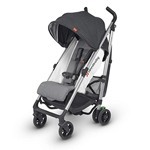 If you are considering a cheaper alternative to Bugaboo Cameleon stroller, you can think about buying UPPAbaby Cruz. 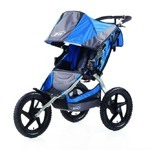 It is also a great stroller, which is recommended by many parents (read reviews of its users here). Below is my summary of both strollers. I’ve got some really mixed feelings about the Bugaboo Cameleon 3. Reading the specification I got all hyped up as it looked really impressive and justified the price. I fell in love with the harness, so easy to use. I adore the quality of fabrics used, looking great with an amazing touch. These are the strongest features of this stroller. Still, everyday life requires more than just the look and feel, and here the Bugaboo Cameleon 3 fails in other aspects. 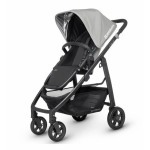 The maneuverability is good, but just not as good as I’d expect it to be and seen in some other strollers. The brake may hit your hand, folding is difficult and it takes time. You need quite a lot of space to store this one. Don’t get me wrong, it’s not a bad stroller, just could’ve been better. 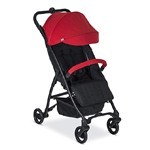 Wondering whether to choose Bugaboo Cameleon? If you’ve read my review, you certainly have a reference. 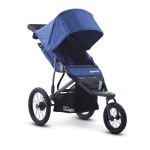 Check out the opinions of other users of this stroller at Amazon and see current discounts.